Yesterday we glanced at some of the top players in the Badger state whose impact on the some of the top teams this season will go a long way in determining whether a state championship can be won. Today we glance at a handful of sleepers who are ready to either break out or whose impact on their respective teams cannot be under appreciated this upcoming season. A slashing wing forward with an ability to play multiple positions, Malik is starting to come into his own and on a loaded Brookfield Central team his emergence and arrival so to speak could be just what the Central needs to help get them over the hump in Madison. Equipped with a loaded perimeter cast and talented sophomore forward David Joplin, the Lancers will need this junior forward to be a max effort fill the box score do everything type. His size and length are intriguing and if he seems primed for a potential breakout year. Clay has quietly worked himself into become a solid prospect and after a solid spring and summer campaign he heads into the season holding a couple Division 1 offers and primed to deliver his best season to date. He has range and combines that with handles and vision and his play this season will be critical to the Purgolders who will need a quality background compliment to the front court standouts Deontay Long and Michael Foster. A potential Division 2 sleeper who will be counted on for a big season, Gouin is tough and he has the ability to contribute on both ends while being a solid perimeter shooting guard. 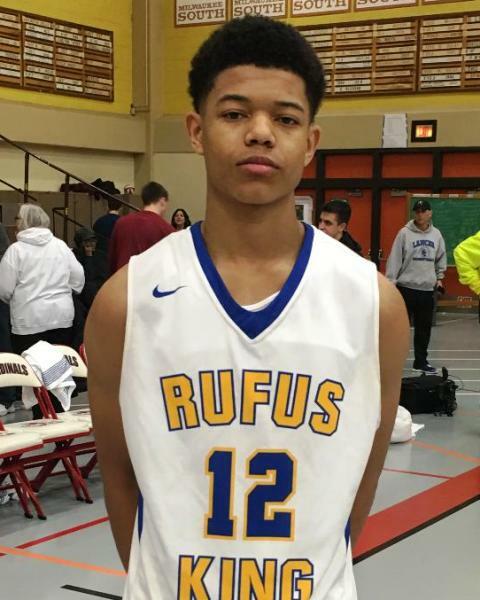 With a lot of attention on talented junior Carter Gilmore this season, Gouin could deliver a quality senior campaign that could potentially see him grab a D2 offer if he plays well enough. A potential sleeper whose best basketball is in front of him, Gouin is a solid D2-D3 talent who could have a nice year. Another talented and quick guard whose primed for a strong senior campaign, Gray is a sleeper whose best basketball lies ahead. He can score at multiple levels, he has the ability to create, and he’s shown solid instincts on the defense end at times. La Follette is expected to have a solid year this season and to do so will mean that Gray had a big year himself. Look for him to quietly emerge with each passing month as one of the top producing seniors in the state. A long and athletic forward whose best basketball is in front of him, Dotson has the potential when the switch flips to really take off as a prospect. His size combined with his athleticism and ability to finish makes him a potential matchup problem. If he’s active and aggressive on both ends this season he could have a breakout season. A talented scoring guard with range and an ability to score in bunches, Ivory is coming off a solid spring and summer campaign and he’s trending upward in a lot of ways. With McCabe now at West Virginia Kaukauna will need someone to pick up the slack. Look for Ivory to be one of the major pieces on the Ghosts board this season and his play combined with that of junior Keaton Ferris will be big factors in determining how the season goes. 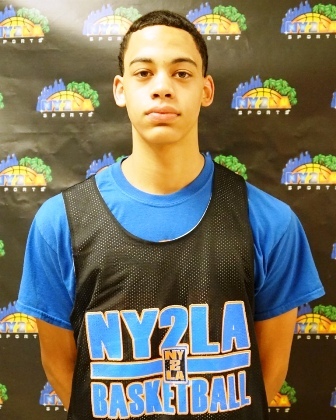 A talented sophomore guard with range, handles, athleticism, and a smooth overall game. While most of the focus in the City Conference will be on Milwaukee Washington this season, Murrell is a talented sophomore in his own right and he could have a breakout campaign for the Generals. Murrell can score and create and he has the potential to be one of the elite guards in the conference whether it’s this year or next. He’s a sleeper with potential breakout ability this season. With Hamilton’s focus on a state championship this season and most team’s focusing on super soph Patrick Baldwin Jr., the Chargers are going to need some stellar play from their supporting cast this season. They have a number of perimeter shooters that can score on any given night but the paint area will need to be controlled by this big strong emerging sophomore. He can finish around the basket, he’s shown an ability to step out to 12-15 feet on occasion, and he has the size, strength, and length to control the glass and alter shots. If he can be active on both ends with consistency and deliver double double performances with consistency Hamilton will be very tough to beat. He’s a sophomore that could have a breakout season this year. Central won the state title a couple years ago and while the Davis twins take most of the attention trust that for them to capture another gold ball Thompson will have to be a dominant interior force for them. He can finish with both hands and he has dominant rebounding ability as well. Thompson saw his stock start to elevate this past July as he added offers from Missouri State, Southern Illinois, Illinois-Chicago, and DePaul to his portfolio. Maybe not as much as sleeper as he’s possibly underappreciated from the outside looking in in terms of looking at the Central attack so to speak. Thompson is primed to deliver a powerful junior campaign and if he does it could very well push Central over the top this season. One of the better kept secrets in the state, Wade is an electric scoring talent who can finish at multiple levels and has the desire and ability to compete regardless of the tempo. He can score off the bounce, off the catch, and he has the ability to slash in transition and knock down mid-range jumpers and perimeter shots in half court sets. Brown Deer has a couple talented sleepers and Wade looks primed to take a big step forward and the young sophomore could drop a breakout season for the Falcons this year.